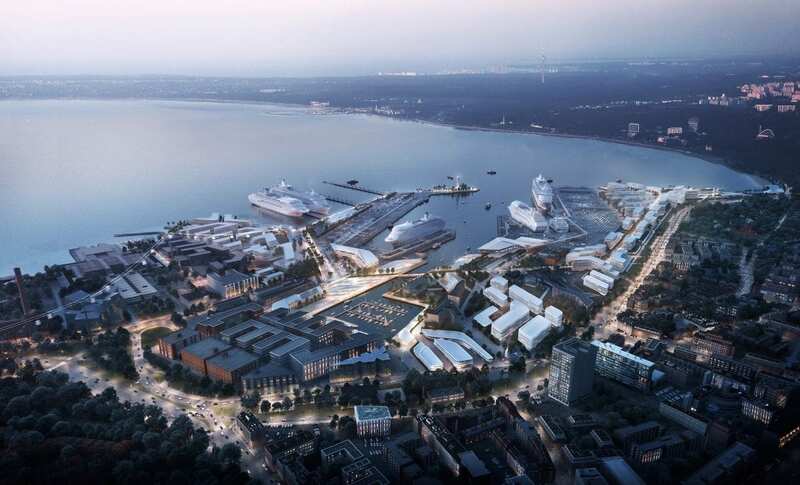 During Soviet rule until its independence in1991, Estonia, as a Soviet Republic, gained a reputation as a Silicon Valley hi-tech region, which set the stage for its evolution as one of Europe’s primary hi-tech centers today. 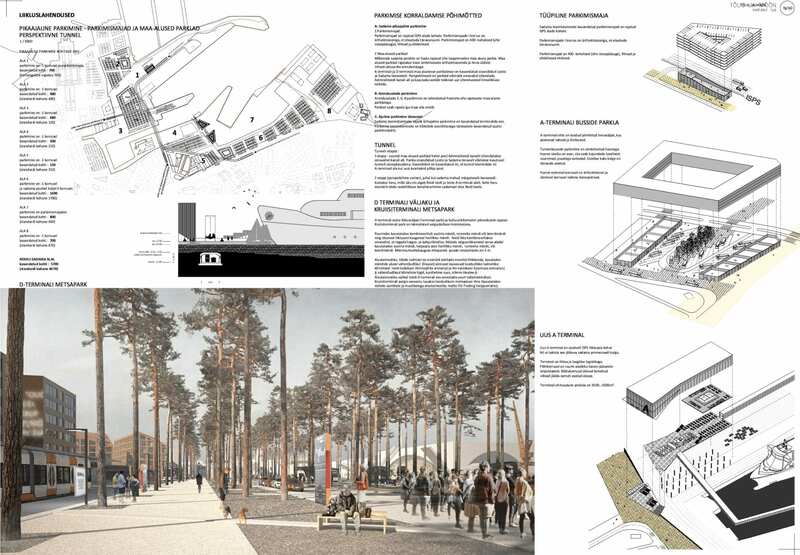 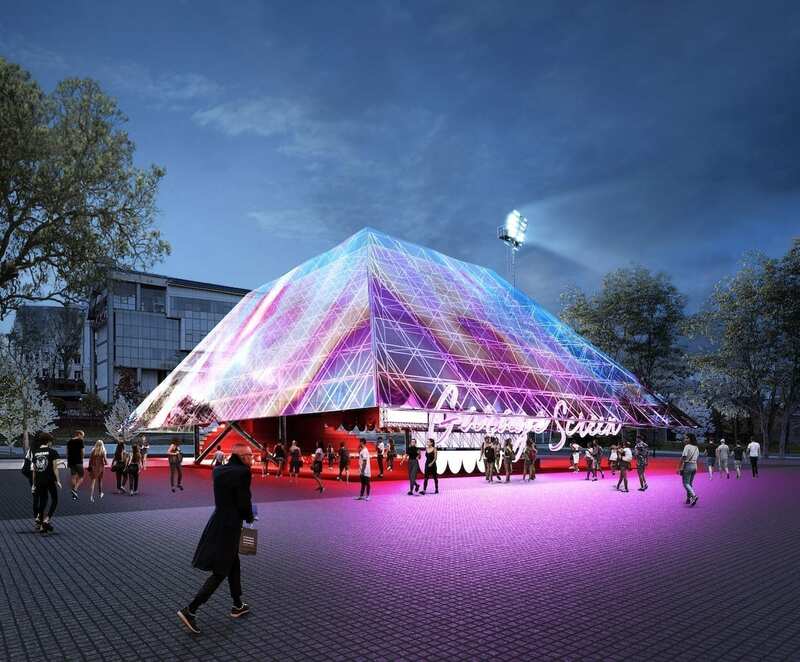 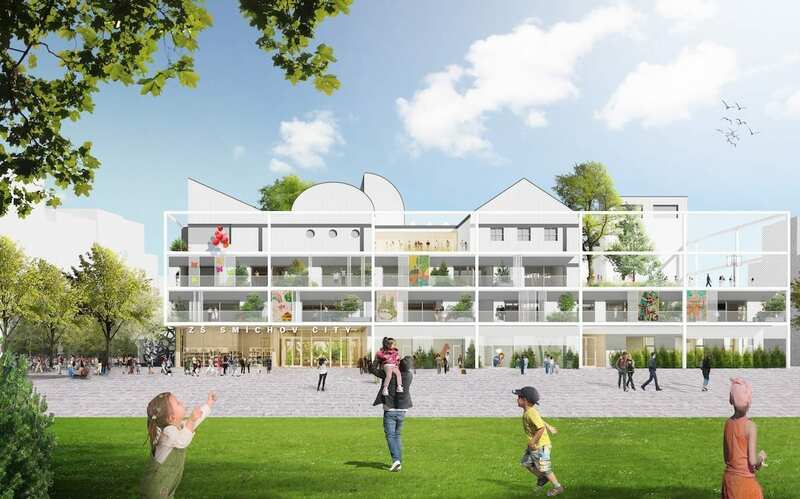 Looking to the West instead of its eastern neighbor culturally, Estonia has embarked on a mission to transform its urban fabric, bringing it up to modern standards, both in function and appearance. 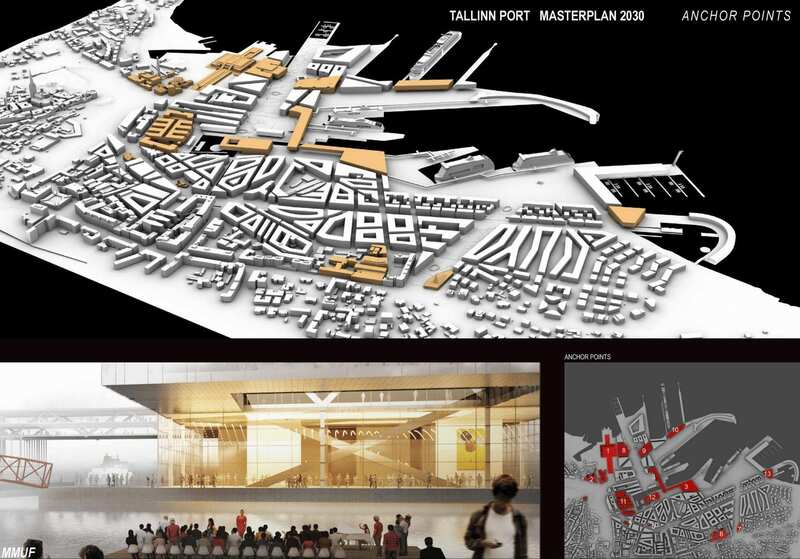 Part of this is to counter the visual impact of Soviet-era housing stock, which has been most prominent in cities like Tallinn, its capital. 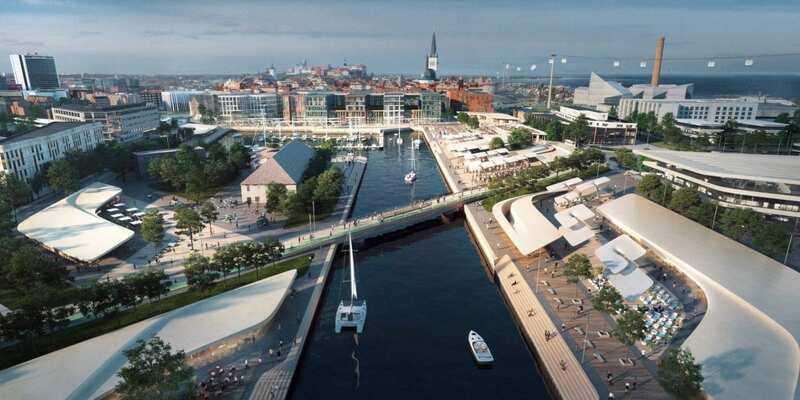 Although its old city center has been designated by UNESCO as a World Heritage site, rising activity at its harbor has led the city to rethink not only expansion of the harbor itself, but how it relates to the rest of the city’s central area. 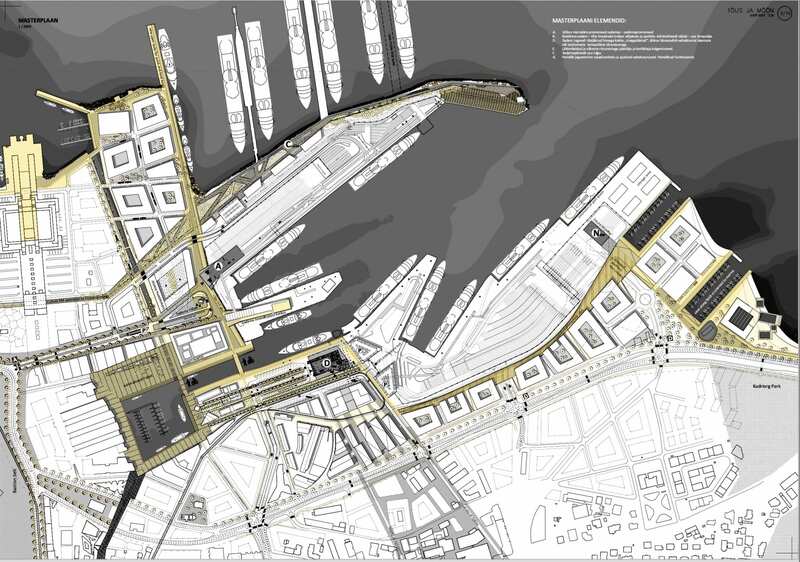 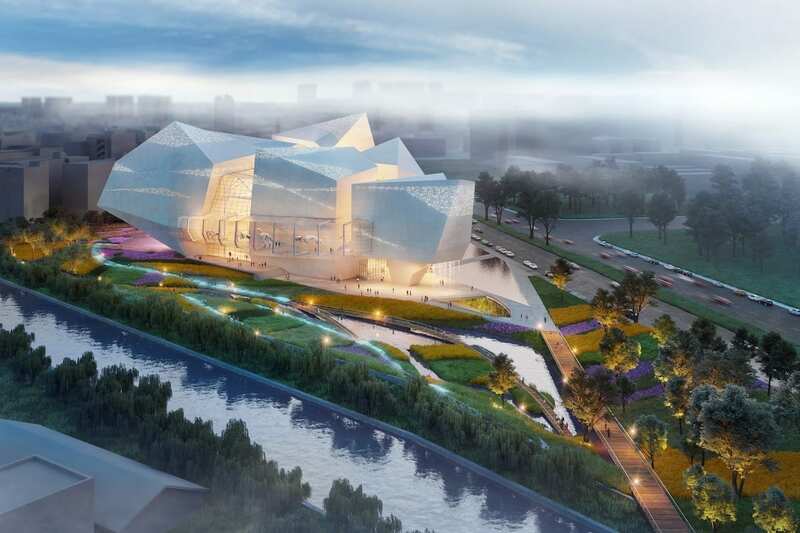 With this in mind, the city sponsored a three-stage ideas competition, which focused on future expansion of the harbor to accommodate both its fast-growing cargo and tourist activity, as well as the surrounding area. 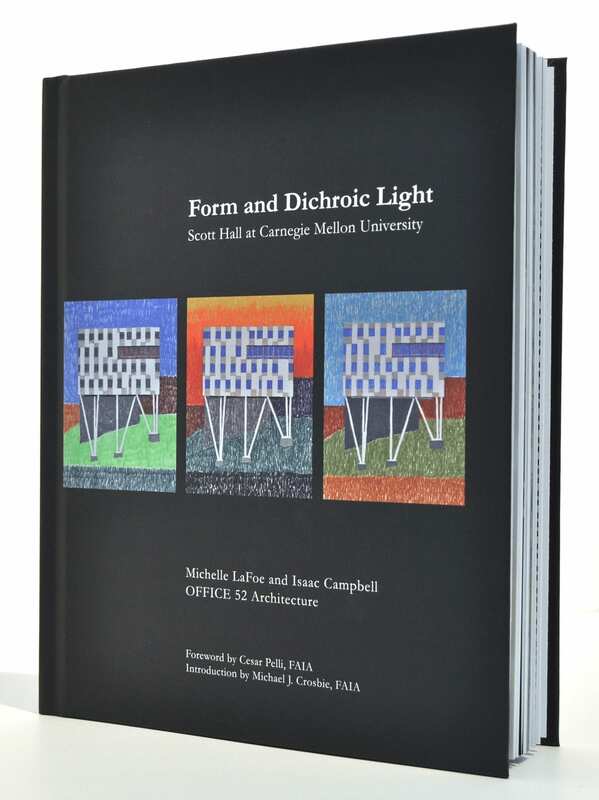 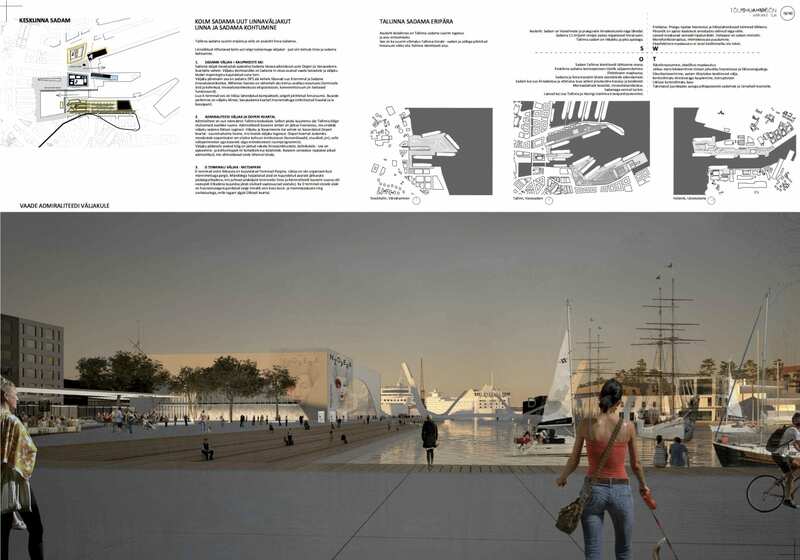 The intent of the competition is to incorporate the ideas resulting from it by year 2030. 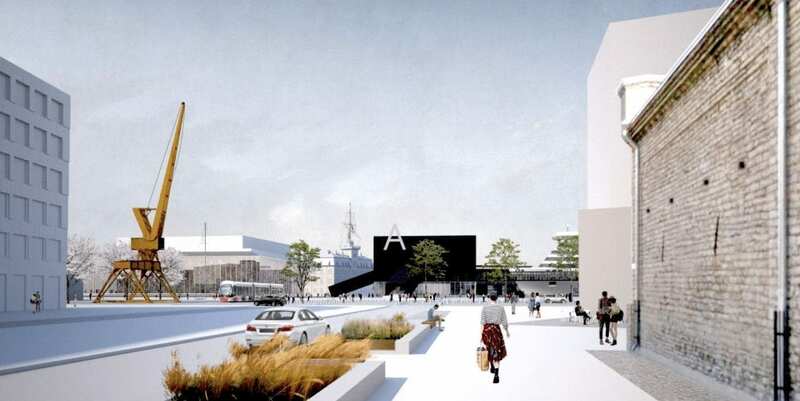 Ülar Mark (a member of the Estonian Association of Architects). 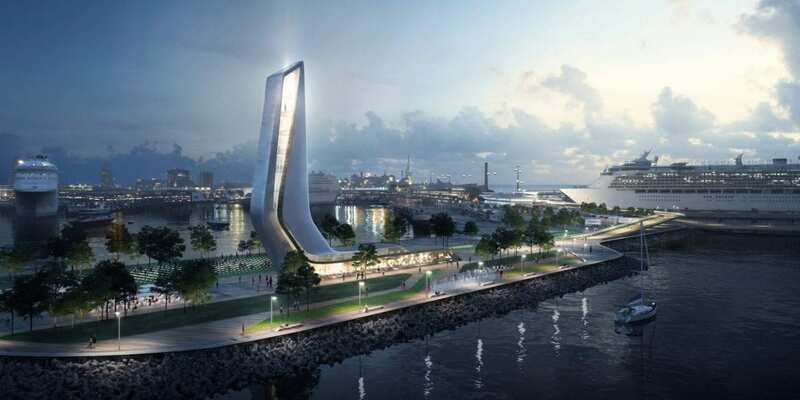 “The winning entry (by Zaha Hadid Architects) stood out for its innovative and integrated approach to Tallinn’s maritime gateway. 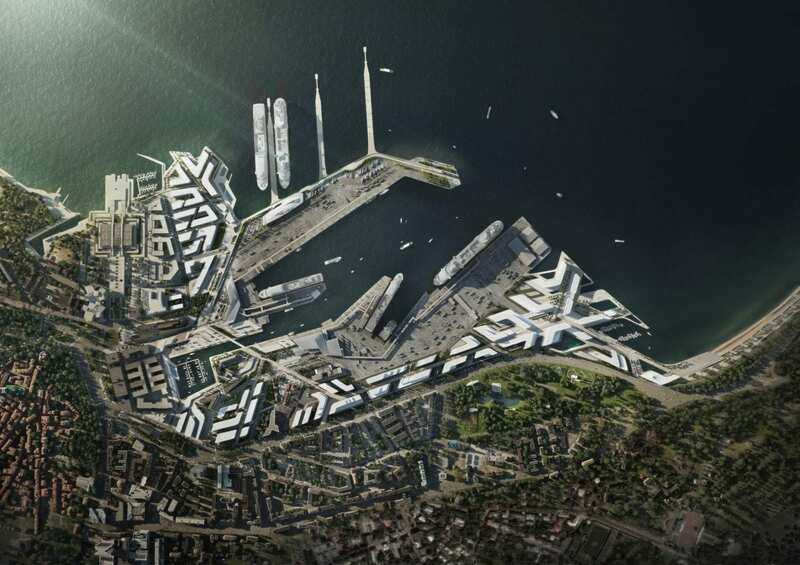 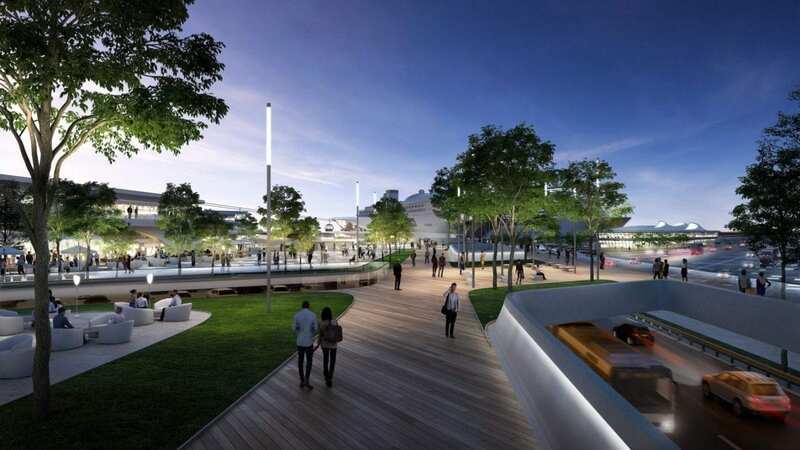 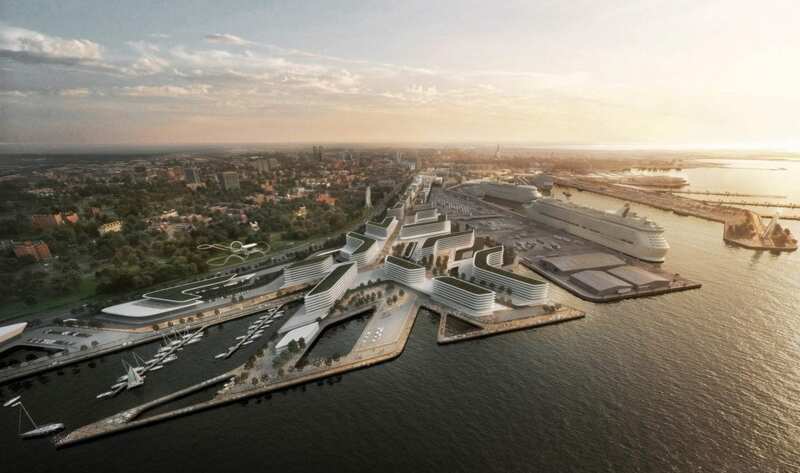 Zaha Hadid has very skilfully created a balanced connection between urban space and the port area with some carefully considered access roads and traffic solutions,” he said. 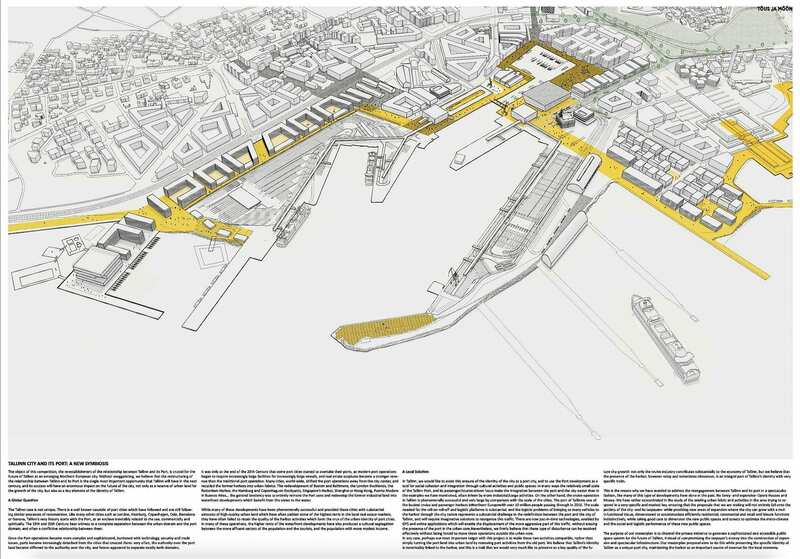 “What stands out in their designs are the diagonals running through them of the pedestrian footpaths, around which a very diverse and memorable city space has been established. 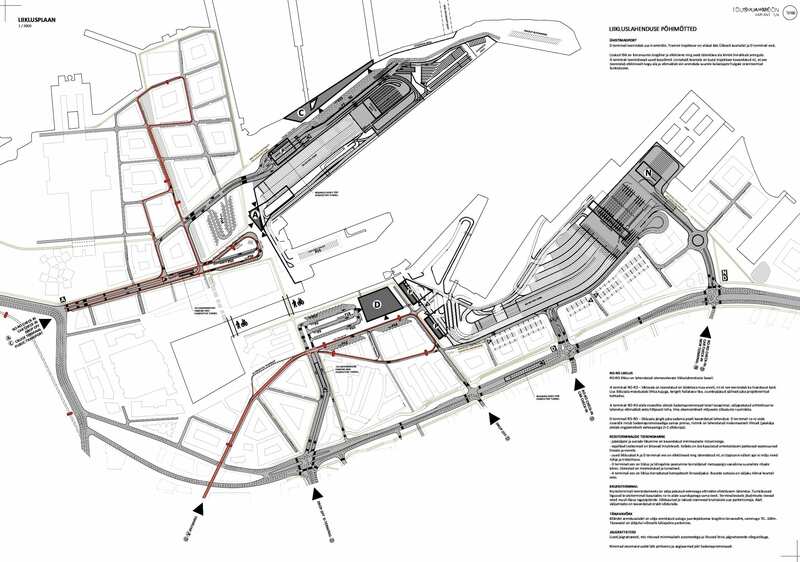 Interesting details include the water features they’ve designed along Reidi Street and their partial – and very smooth and effective – raising of the areas for pedestrians up to ‘another level.’ Adding to the overall feel of integration in their designs is the urban square and greenery they’ve come up with for the area around Admiralty Basin, stretching all the way from the front of Terminal A to the front of Terminal D. Their entry was also marked out by strong logistics and property development analysis and a convincing and realistic projection. 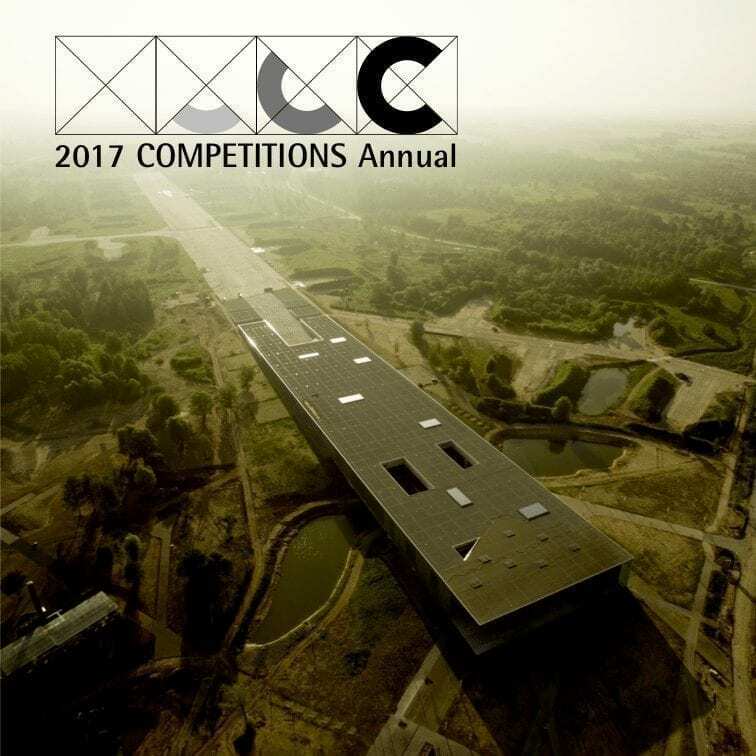 In making their selection the jury assessed the entries for their compliance with the competition task set for this stage. 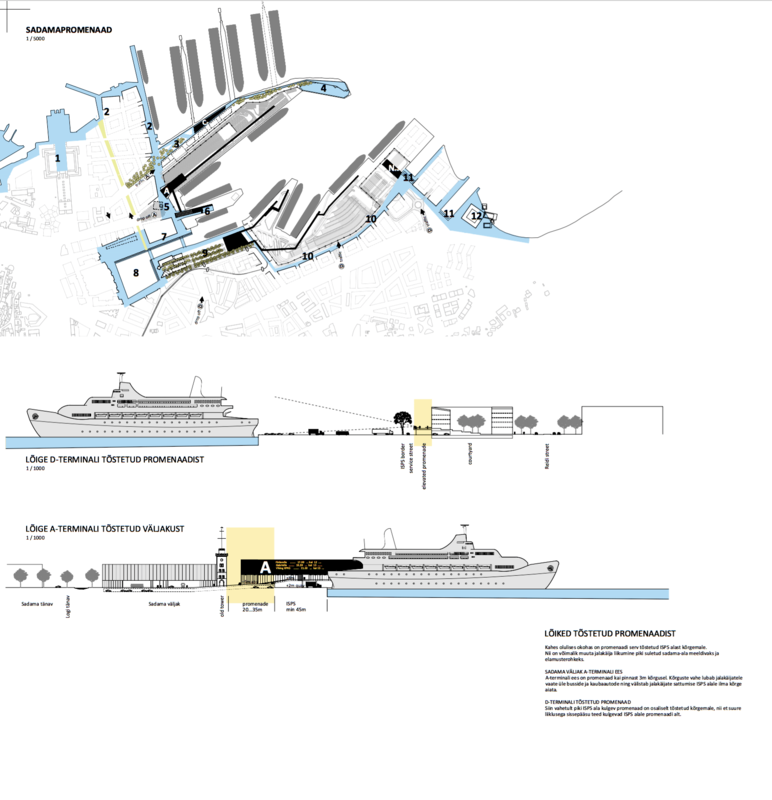 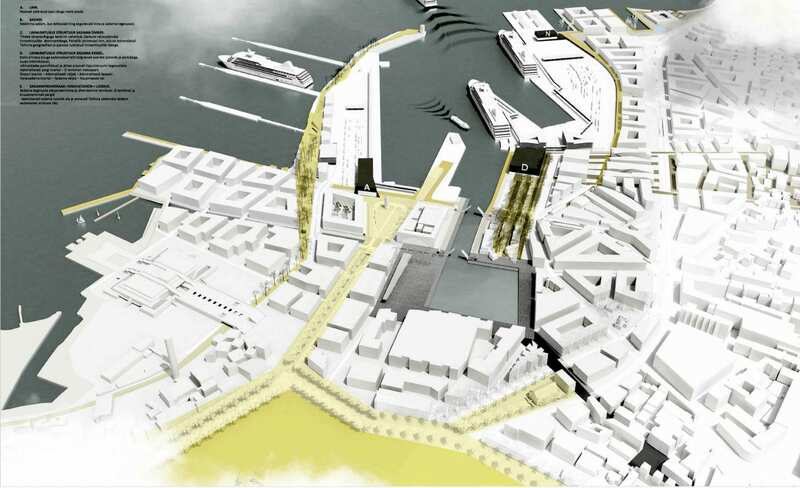 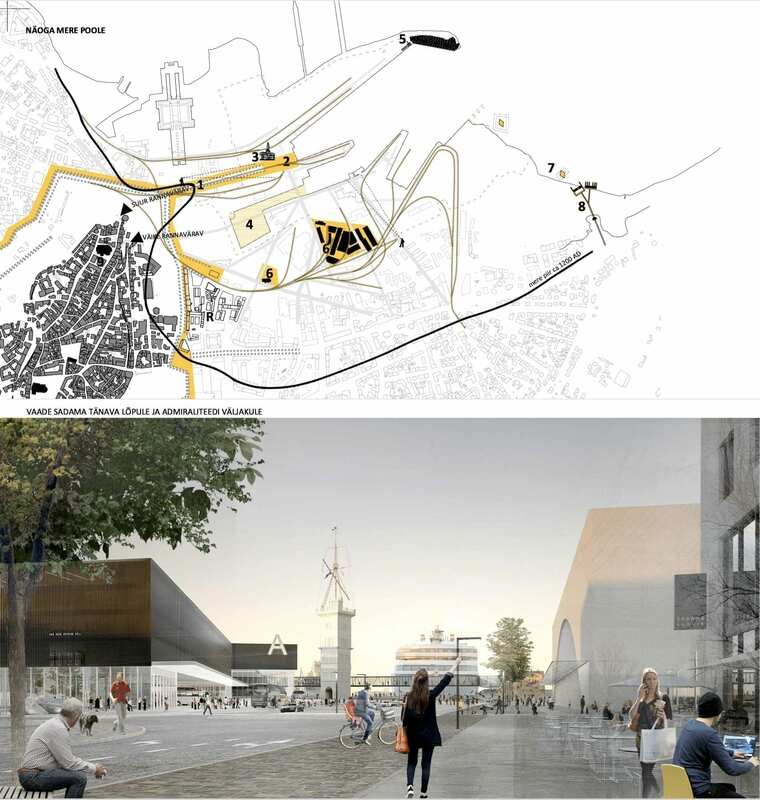 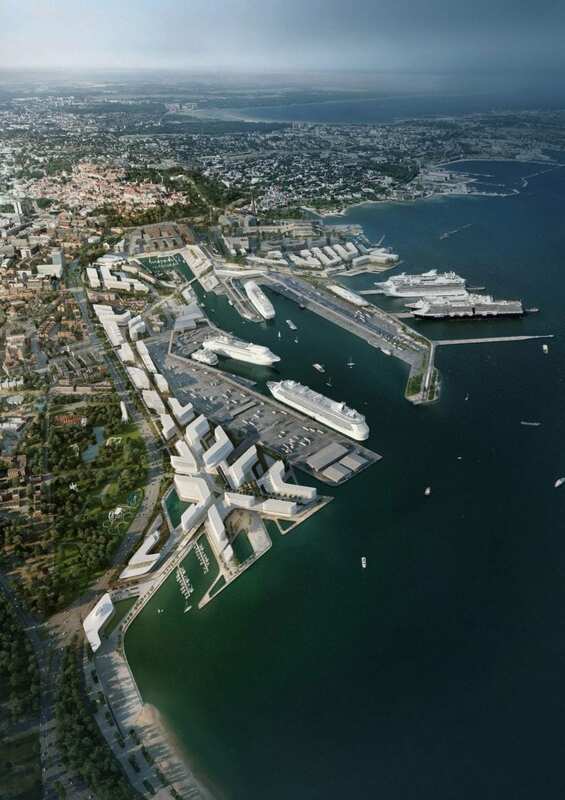 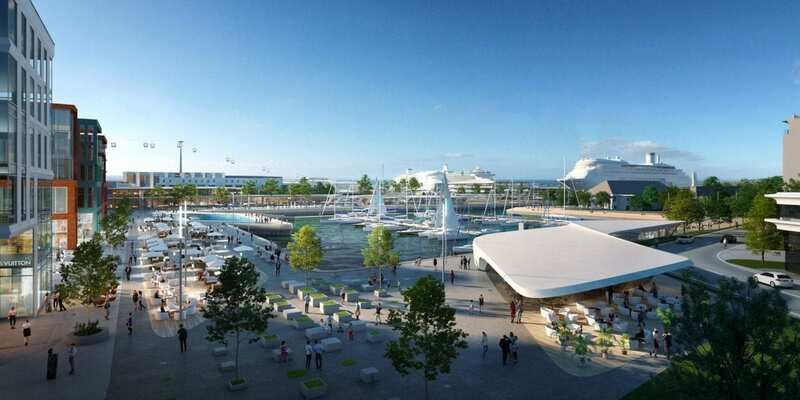 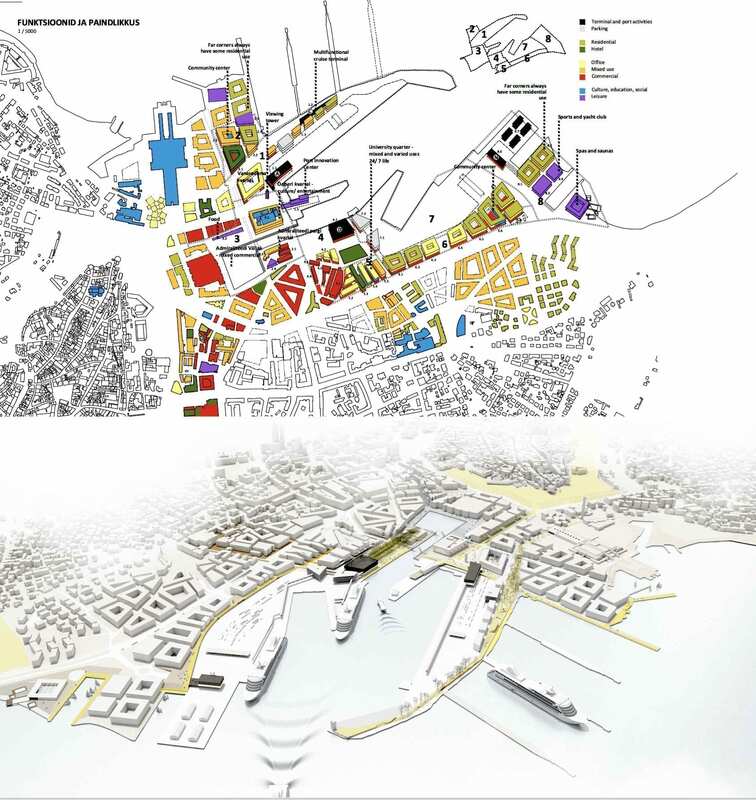 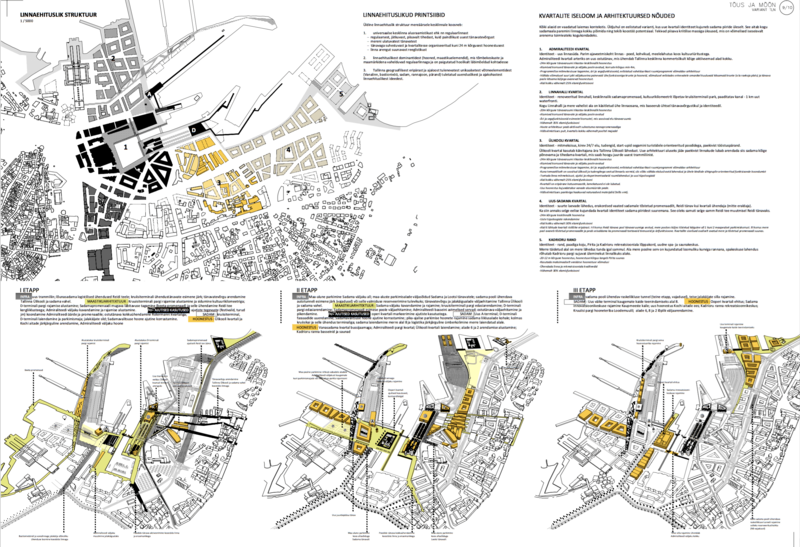 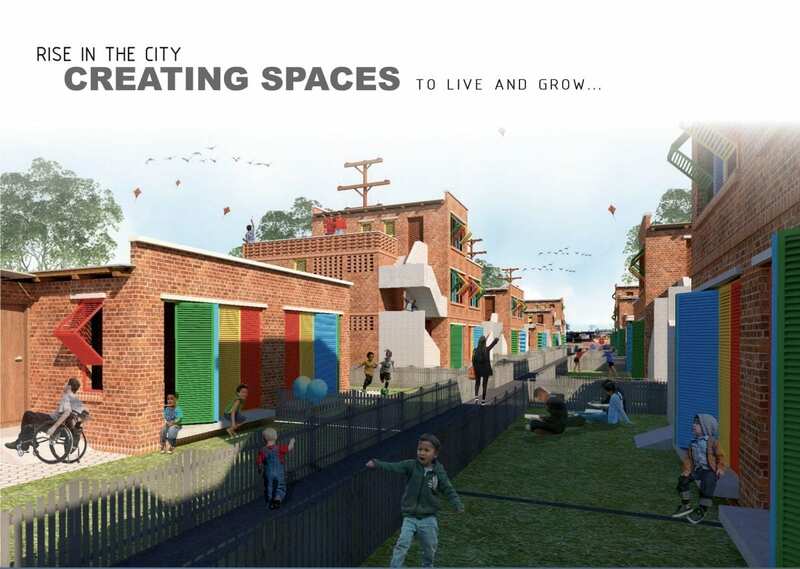 Among other aspects, they evaluated how well the ideas worked with the surrounding environment, how well thought-through the connections were between the port and the city, how fresh and innovative the solutions were and how feasible it would be to realize the ideas. 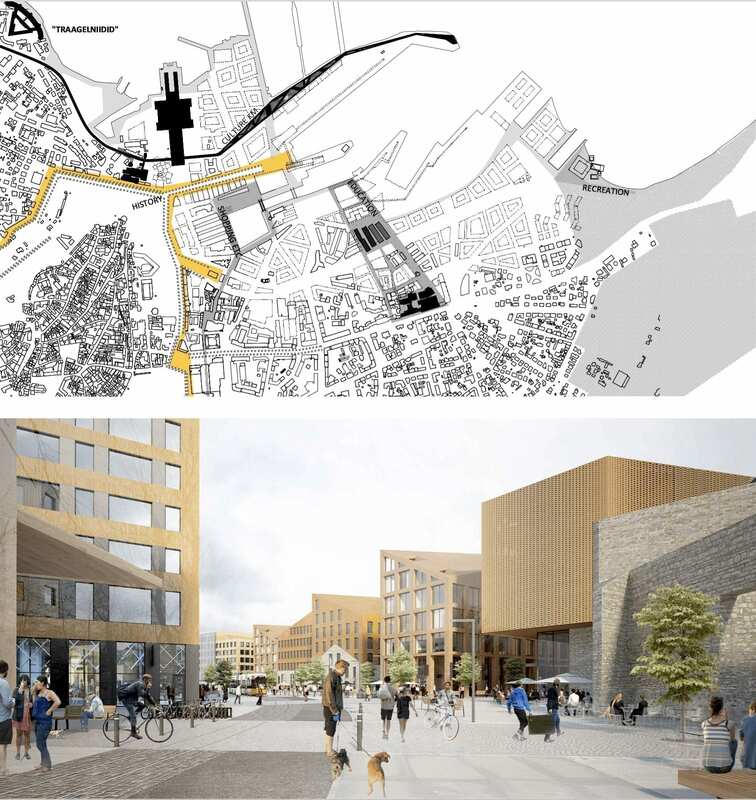 From the vantage point of a former resident of Tallinn, Andres Sevtsuk, now a professor at the Harvard GSD, the Zaha Hadid proposal also has its drawbacks and may not adequately address some of the communities most urgent priorities.